Paulo Odendo primary school was started in the year 2005 by Mr. Joseph Nyamori under the chairmanship of the late Charles Obetto Ambaso from classes 1-3. By that time the school was sponsored by community and had a total of 87 pupils. The government then posted T.S.C teachers in the year 2006, Head teacherMr. Peter Awiti deputized by Mark Odiwa.The enrollment rose to 116 pupils from classes one 1-7. 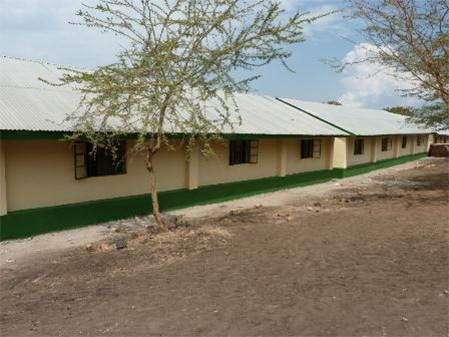 Paullo for Kenya took over the sponsorship from community and constructed eight classrooms for primary, two classrooms for nursery and administration block. The ECD enrolment is 121 while the primary school enrolment is 552. The ECDE (Pre – school) section has total number of 4 female teachers, out of these teachers 1 is employed by the county government while 3 are employed by PTA. In primary section there are a total number of 14 teachers, 5 of them are male teachers while 9 are female. 11 teachers are employed by the government while 3 are employed by PTA. The school has realized good support from St. Camillus Dala Kiye and We World Kenya Foundation way back in 2011 through education support. The support started by taking care of our pupils who were orphans. The organizations gave support in offering them treatment, paying school levies and also offering school uniforms. The collaboration of the two organizations has helped the institution a lot. They have made desks for pupils, gave three hand washing tanks and also dustbin kits for the school. The project also constructed two Ventilation Improved Pit (VIP) Latrine blocks of four doors each for boys and girls in the school. This was done in the year 2017.In the same year a major renovation was done in eight classes and this made the school to look smart and clean. 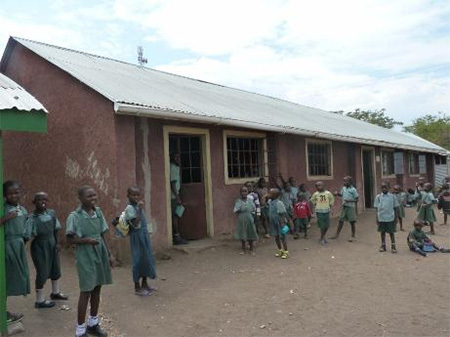 The old walls were repaired; floor excavated and plastered a fresh, construction of veranda for pupils to easily move and painting of the classroom walls both inside and outside. As a result of these support we got from the project, the school has realized a remarkable change interms of performance and health wise. The school has also recorded a good result in the year 2017.The school enrollment has really improved as a result of renovation and the support given by the organization. Some of the diseases that were brought about as a result of dirt were able to be curbed. The child population has also increased tremendously. As a result of all these the community is very happy with the support from We-World. We pray that God help you as you continue with the good deeds.